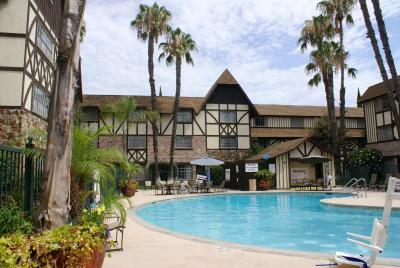 Lock in a great price for Anaheim Majestic Garden Hotel – rated 8.3 by recent guests! 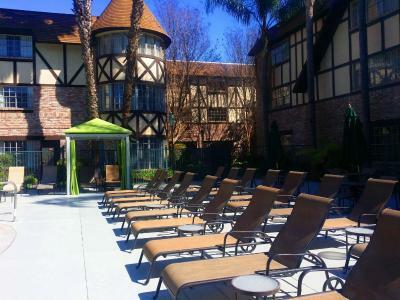 Close to Disneyland and have a good save the earth program with towel and bed sheet service. 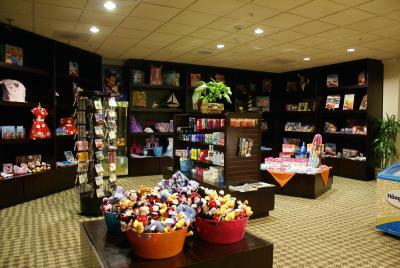 The cleanliness of the hotel and that there is a shuttle to the Disney parks! Everyone is very nice, helpful and professional etc. Grounds were beautiful. Breakfast was great. Fireworks view was amazing! Shuttle was good too. The size of our room was perfect and the beds were very comfortable. The garden was lovely. The shuttle to Disney was very convenient. 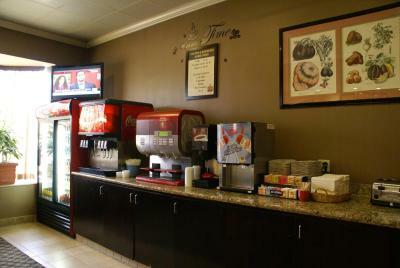 The staff was nice and helpful. Housekeepers did a great job. The room was really spacious and nicely decorated. 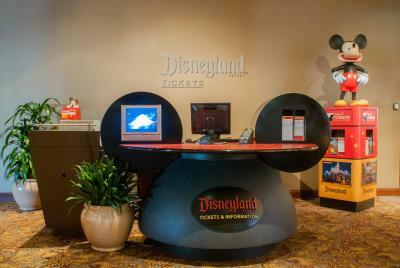 I loved how attentive and helpful the staff was. I also enjoyed the property. I felt relaxed and safe as I walked through grounds by my self with my doggy. One of our best sellers in Anaheim! 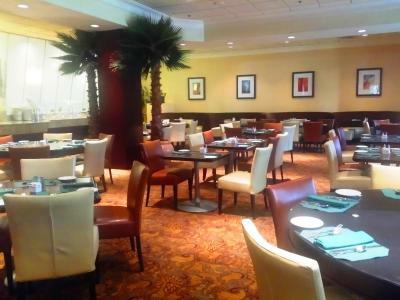 Offering a free shuttle to the adjacent Disneyland and California Adventure theme parks (less than1.3.1 mi away), Anaheim Majestic Garden Hotel features 2 on-site restaurants. 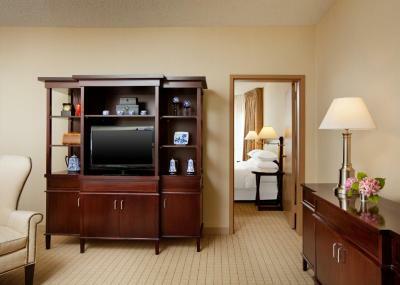 All guest rooms feature a flat-screen TV. 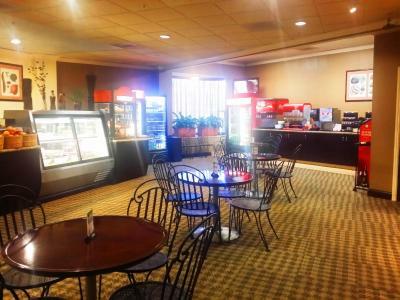 Each room is equipped with a refrigerator and coffee maker. All modern rooms are warmly decorated with dark wood furniture and include a work desk and safety deposit box. 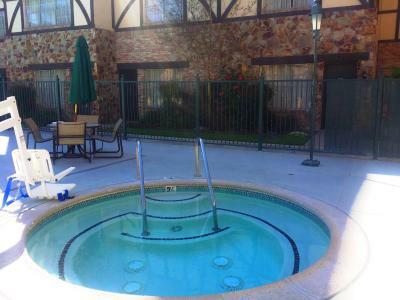 Accessible rooms with roll-in showers, grab rails and shower seating is provided as well. 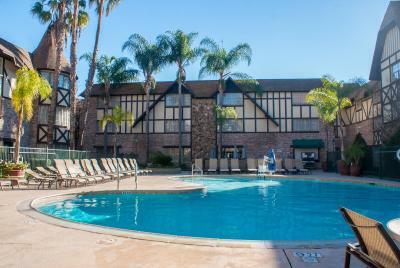 Free access to the gym, outdoor whirlpool and outdoor pool is provided to all guests of Anaheim Majestic Garden Hotel. 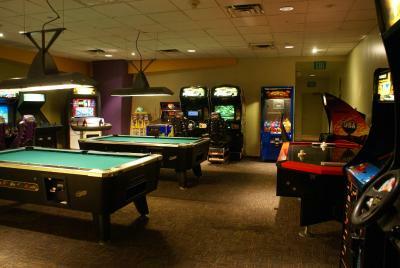 The hotel has a games room with billiards and arcade games and a business center offering free WiFi. 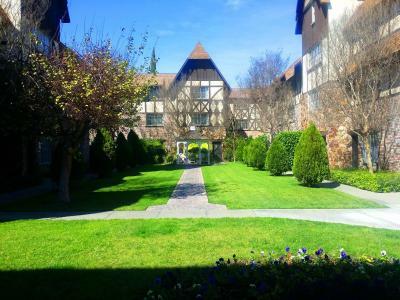 The property offers accessibility features including a pool elevator, hot tub elevator and accessible paths throughout the property. 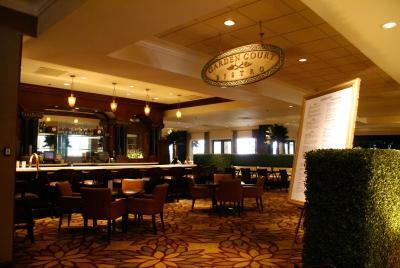 The Garden Court Bistro and Bar at the Anaheim Majestic Garden Hotel serves American cuisine and cocktails. 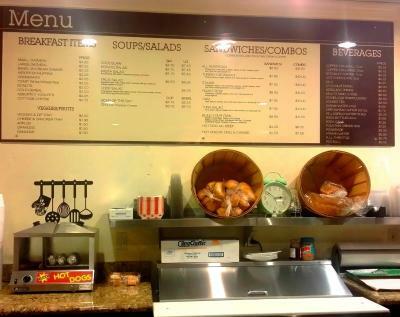 California Deli offers sandwiches and salads. 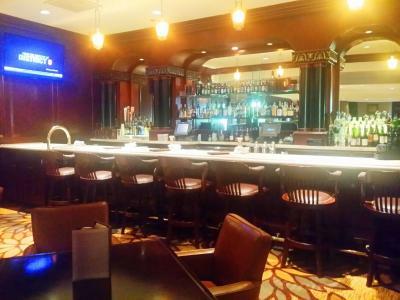 HG Miller Golf Course is just 4 miles from the hotel. 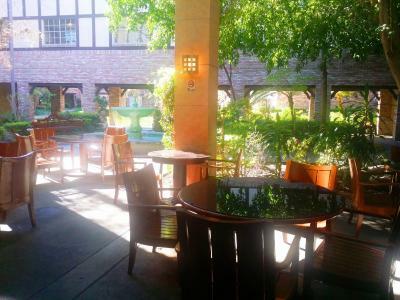 Bowers Museum of Cultural Art is 5.5 miles away. 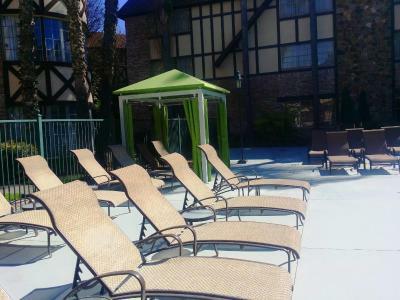 When would you like to stay at Anaheim Majestic Garden Hotel? 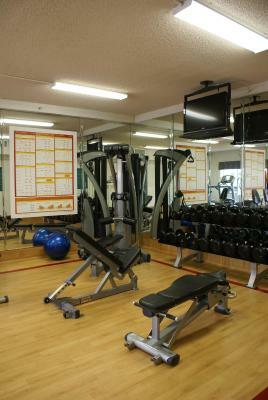 Spacious 377-500 square foot room. 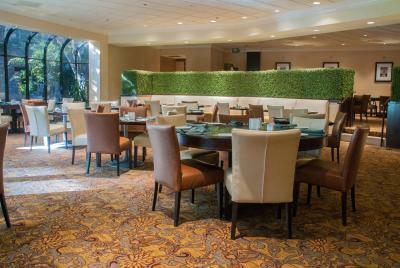 This air-conditioned room features interior views of the hotel grounds or pool. 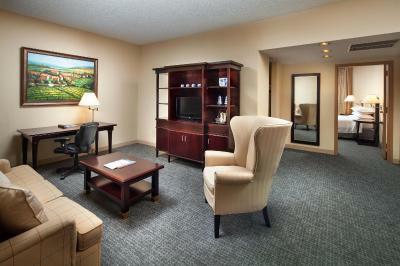 This air-conditioned deluxe room features cable TV and a sitting area. 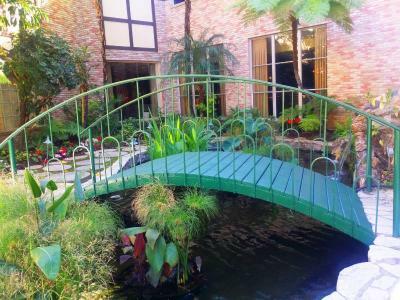 It offers interior views of the hotel grounds or pool. These castle-inspired suites are in the hotel's turrets and feature circular bedrooms. 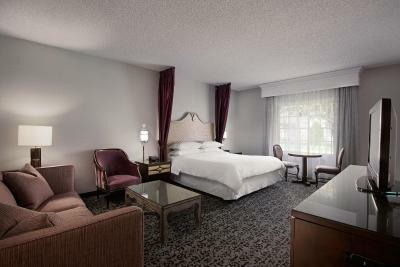 Each room has a sitting area, a sofa bed, 2 flat-screen TVs, a tile/marble floor and guest robes. 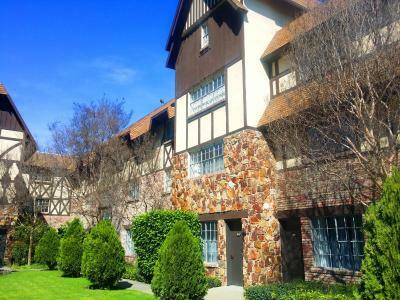 This double room features castle-inspired decor and has cable TV, a tile/marble floor and a sitting area. 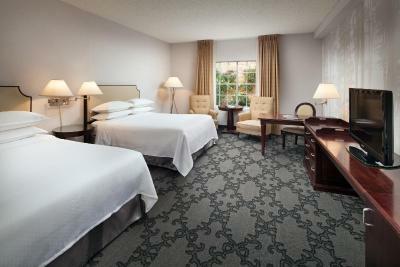 This air-conditioned room features castle-inspired decor and has a tile/marble floor and cable TV. 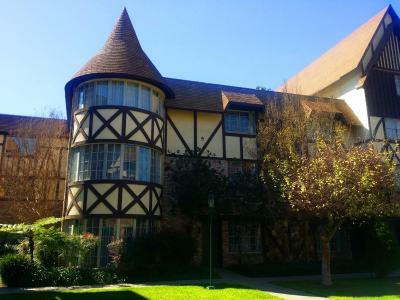 This air-conditioned room features castle-inspired decor, a castle bunk bed with storage in the stairs, a play area, a flat-screen TV, a tile/marble floor and a sitting area. 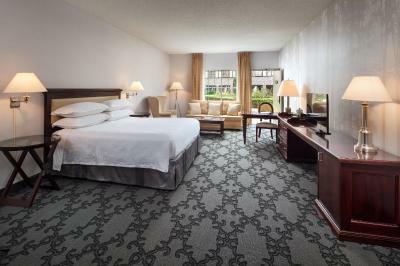 This suite features castle-inspired decor and has a tile/marble floor, a sitting area and cable TV. 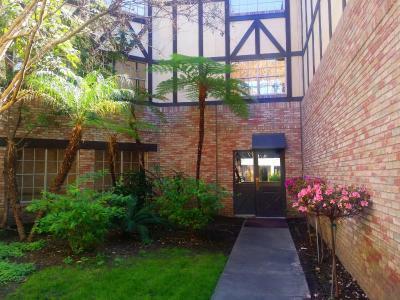 This suite features a loft with a king bed with full bathroom, a fat-screen TV and a closet. The first floor features a flat-screen TV with second half-bath, a sofa bed, 2 closets and a dining area. 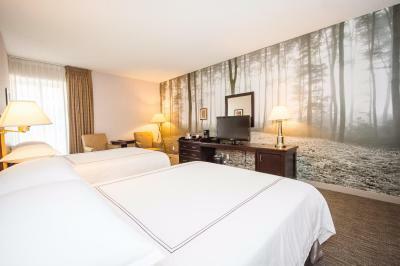 Suites have interconnected rooms available. 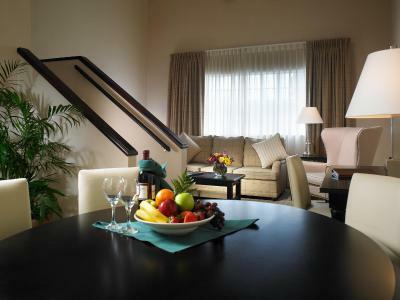 This suite has a tile/marble floor, sofa and air conditioning. 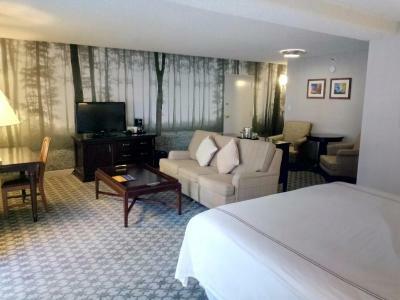 This suite has a sofa, cable TV and tile/marble floor. 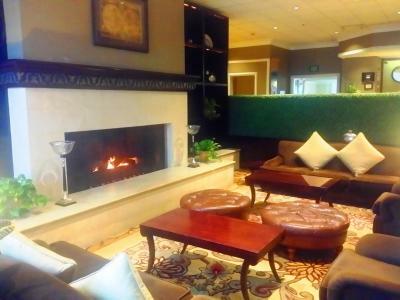 This suite has a sofa, seating area and tile/marble floor. This accessible room features a bathroom with a roll-in shower, grab rails and a built-in shower chair. 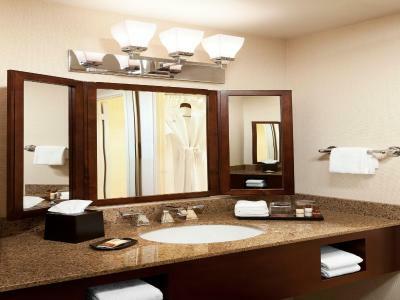 A bathroom telephone and amplified telephone are offered in the room as well. Closed-caption television is included. 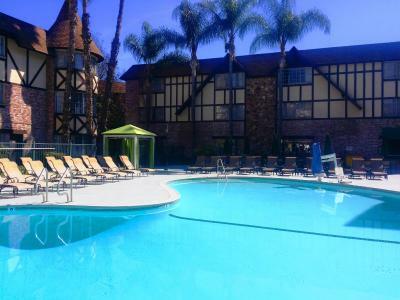 House Rules Anaheim Majestic Garden Hotel takes special requests – add in the next step! 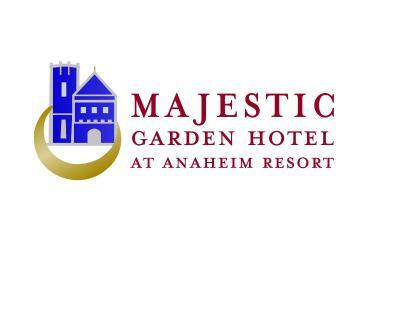 Anaheim Majestic Garden Hotel accepts these cards and reserves the right to temporarily hold an amount prior to arrival. Cats and dogs are permitted in specific and designated 2 queen bed traditional rooms only. Rooms are limited in number. If traveling with a pet please contact the hotel in advance to arrange for a pet room assignment. 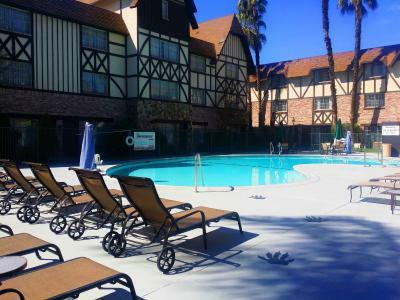 A nonrefundable deposit plus tax will apply per stay. 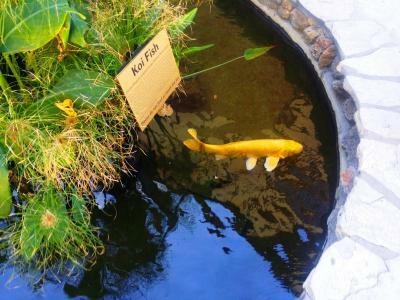 The pet must be accompanied by an owner at all times - on a leash or in a crate - and may not be left in a room unattended without an owner present. 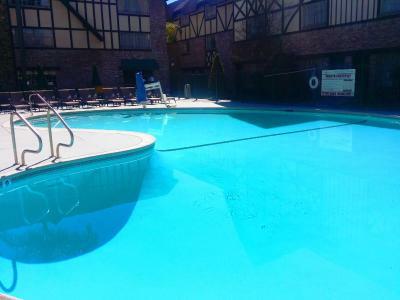 A waiver must be signed at check-in and guests will be responsible for repairs of excess damage or if deep cleaning is required. If damage is discovered after checkout, the credit card on record will be charged. 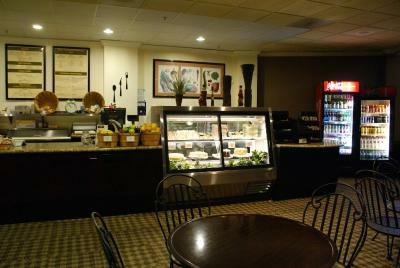 Breakfast rates include breakfast for 2 guests ONLY and additional breakfast may be purchased upon arrival. The room, sometimes, didn’t feel like they cleaned it. They did not replenish coffee items. The last night we found someone else’s clothes in our room...very strange. It was dirty, the mirrow still have tooth paste stain. It was dusty, and the coffee pot make a horrible noise that I have to unplugged because it won't turned off. Bathroom door was not working properly and outlets were not that convenient Tv was hard to turn on. I was promised breakfast vouchers at check in and when it was time to use them the staff had no record of it at all. That was very frustrating. Other than that everything else was great!! 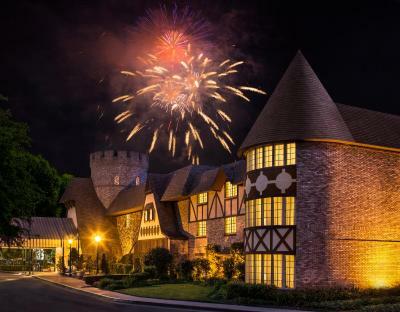 Room is clean and big, can see the firework from the room, bed is really comfortable, hotel shuttle bus is good and easy.. the Disney ticketing desk in the lobby is convenient. Very little hanging space for clothes for family of four. Meals quite expensive even with the discount. 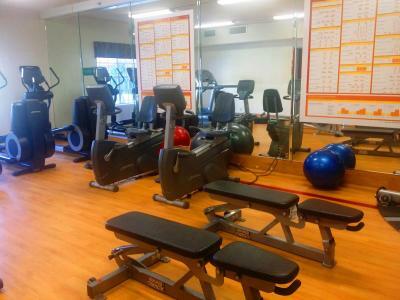 Comfortable room and beds. Fairly quiet overnight. Good shuttle service to Disney. 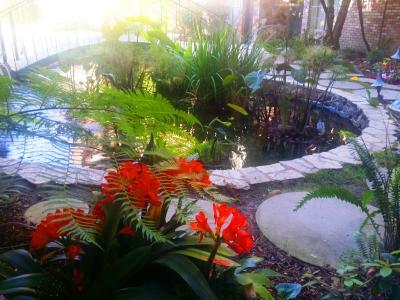 Beautiful gardens, nice outdoor pool.